I have been reading all the blogs in the US who have snow, some have lots and lots of snow but we are snowless!!!! I think our winter is just going to be grey and dank and dismal. All this week they have forecast rain and the sky has looked like this all day! I must say you can see why some people suffer from SAD. I am lucky I don’t, I just turn on the lights and crank up the heating a little bit and get on with my jobs or sewing. I love lists as you know and these sorts of lists can make for interesting discoveries. I will eventually, when I have finished my UFO’s and quilts that are required by certain dates, would love to participate in a Block of the Month or one of the many quilt alongs that are around the web but don’t wish to commit until I am ready. But reading I can do when I am not quilting. Like at bedtime or bathtime!!!!!! I love this quilt but an useless at applique! 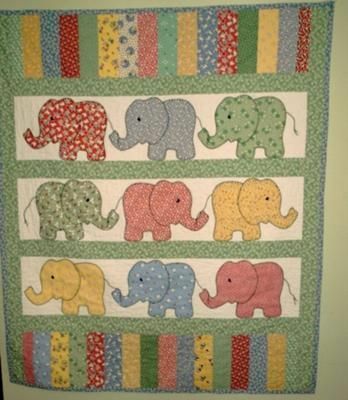 I am searching for inspiration for the baby quilts but cannot decide. I think I am going to have to go to the Quilt Shop and have a look at the fabric!!! He, he good excuse!!! It does not help that we do not know what they are having so the colours have to be acceptable to both. Hopefully I will be able to sneak out later in the week. Tomorrow I have another appointment at my Doctor’s and then I am going to see a friend who has not been well and then I have some work to get done and it is Wednesday! I hope you are having a Happy Tuesday. This entry was posted in My Blog, My Quilting Projects on January 17, 2017 by scullybooks. I’ll send you a pic that hubby sent me of what greeted him this morning when he left for work! Have a fabulous Wednesday at the doctor..hope the news is all good! !